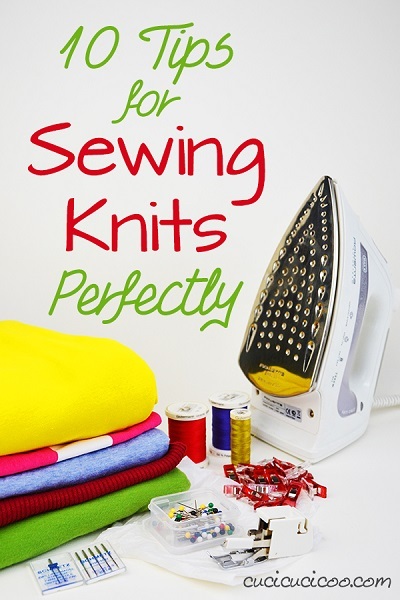 Learn how to sew knit fabric perfectly. Most of our garments are made from knit fabric because it’s stretchy, form fitting, and much more forgiving in terms of sizing. However a lot of sewists shy away from sewing their own knit garments because this fabric can be tricky to sew. It can stretch out of shape, stitching can snap or holes can form. But no fear– these 10 must-know tips take all the pain out of sewing knits and make it just as easy as any other fabric! If you like this project, you might be interested in our Sewing Category! <====== click this link!